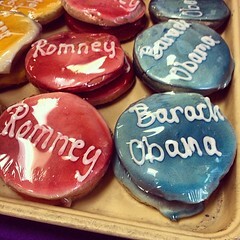 Nothing screams democracy quite like election-day food specials. In true Capital fashion, DC restaurants are getting in the swing of things and offering a host of President-worthy deals, giving you further incentive to get up and get heard. Shake Shack in Dupont Circle has partnered with Rock the Vote to offer “Shack the Vote”. On November 2nd, the burger mecca will be setting up a Pledge to Vote table, where you can pledge to rock it while also receiving a coupon for a free Presidential Caramel Custard, redeemable on Election Day. #brainfreezefordemocracy anyone? One of my favorite wine bar’s, Vinoteca, if offering an all-day Happy Hour Party, featuring $5 wine and food specials, if you have the “I Voted” sticker. Vinoteca’s 7-day-a-week happy hour usually runs from 5-7pm, but will be extended on November 6th to celebrate all those who voted. 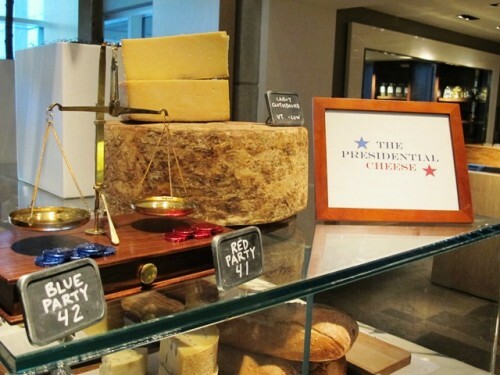 The Park Hyatt Lounge (also home to Blue Duck Tavern) is offering Presidential cheese, literally. Two blue cheeses representing the Democratic candidate and two red cheeses, representing the Republican candidate will be available nightly, nothing gets better than being political over cheese. Capitol City Brewing Company will host a thirteen-hour All Day Election Day Happy Hour from 11:00 a.m. to 12:00 midnight on Tuesday, November 6, at both their downtown and Arlington locations. 701 is offering a special three-course fixed price Bipartisan lunch until Monday, January 21, Inaugural 2013, with a special lunch menu consists of an appetizer, entree and dessert priced at $25 per person, tax and gratuity not included. Over in Old Town, Jackson 20 Chef Brian McPherson has created an Andrew Jackson-inspired prix fixe menu, available for $20 on Election Day for those wearing an “I Voted” sticker. The three-course, colonial-inspired menu pays homage to the restaurant’s namesake, President Andrew Jackson, and the foods he enjoyed. There is nothing more patriotic than coming together to exercise your right to vote, demand your voice be heard, and party (and eat) together with your closest law-abiding citizens… Enjoy! 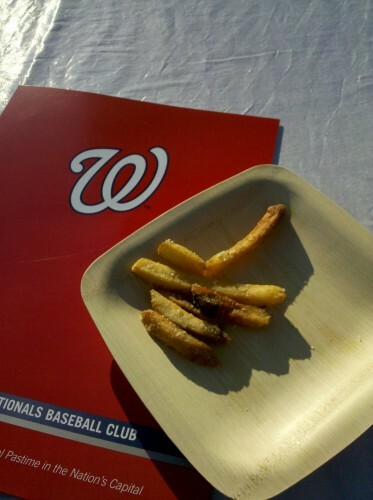 Although Nationals Park already features a number of iconic Washington-area restaurants, such as Ben’s Chili Bowl and Hard Times Cafe, the Nationals partnered with New York City’s Union Square Hospitality Group to bring in four new dining options: Blue Smoke BBQ, Box Frites, El Verano Taqueria, and Shake Shack (which also just opened a brick-and-mortar location near Dupont Circle to much fanfare). In love with Shake Shack but can’t stand the long line? Maybe you will have better luck at Nationals Park, where the second Shake Shack opens next week along with Blue Smoke‘s barbecue, Box Frites (“Belgian-style fries and dipping sauces”) and El Verano Taqueria. Read more from EaterDC or check out Tom Sietsema’s review of the burgers here. Hopefully you haven’t missed it in the Shake Shack, Pinkberry, Luke’s Lobster craze…but Serendipity 3 is now open in Georgetown. There’s no way you haven’t heard of the NY based shop and its signature oversized Frrrozen Hot Chocolate and Foot-Long Hot Dogs, BUT you can also have the President’s Lobster Pasta here, a dish exclusive to DC. For the best opening story and pics head to Revamp. Can’t wait to see what the Young & Hungry team puts out for its Of Edibles and Eminence: What Makes a Powerful Restaurant? list on June 10th. They write “Beyond the ‘power lunch’ and the often elusive ‘power breakfast,‘ the places where we eat wield influence in a variety of ways. Some restaurants change our behavior. Some change entire neighborhoods.” Send Y&H your suggestions! Metrocurean tells us that Jack Rose, the new whiskey bar and restaurant from the team behind Bourbon, could open any day now. So if you’re looking for a place for whiskey, you might want to start walking towards 18th and Florida. It’s about time — we’ve been talking about this place forever! 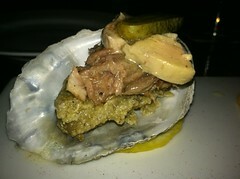 In one of my favorite features, Best Bites Blog takes “the pulse of three area restaurants” in The Needle. Zaytinya and Pizzeria Orso do very well…Bezu not so much. On a roll like always is the ubiquitous Spike Mendelsohn. Despite what was perhaps a bad choice of words earlier this month, Mendelsohn’s first food truck lunched today without a glitch in sights. 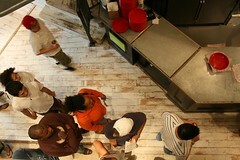 Sixth & Rye has been popular before the deli truck even first hit the streets. You can think of it as DC’s First Kosher Deli on Wheels with Sixth & I, Chef Spike and Chef Malcolm Mitchell behind the venture. It even has 1,755 followers on Twitter already, where the truck goes by @SixthandRye. So it’s been quite a lackluster week in food. Ha! As everyone knows by now (but I will repeat anyway), DC took home two James Beard Foundation Awards this week. You can call them the Academy Awards of food. The ubiquitous Chef José Andrés won for Outstanding Chef and The Washington Post’s Tim Carman (previously with the City Paper) won for Food-Related Columns and Commentary. Read more from WeLoveDC’s Marissa. 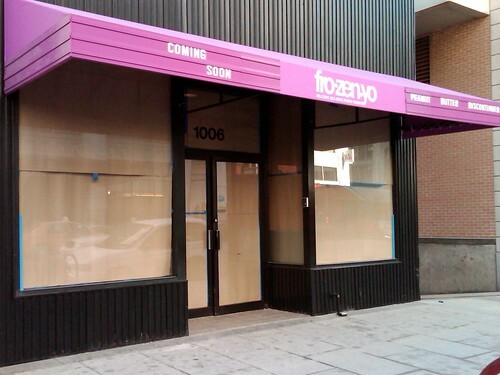 Yesterday we previewed half of the upcoming restaurants of 2011. Here’s the second half. Don’t you just love the whole restaurant within a restaurant idea? Well, whether you do or not, Passion Food Hospitality (Acadiana and DC Coast) will soon open their sixth and I guess also 7th location. Chef Jeff Tunks along with David Wizenberg and Gus DiMillo will serve up American cuisine at District Commons, plus burgers, double fried fries and adult milkshakes at the counter-service BT & S. Both Foggy Bottom restaurants will share a beer menu featuring 20 American small batch beers.